The Elite Exercise Mat is a professional-grade mat just like the ones used in Pilates studios. It is an absolute must for performing all the various forms, exercises and methods pertaining to Pilates in total comfort and style. 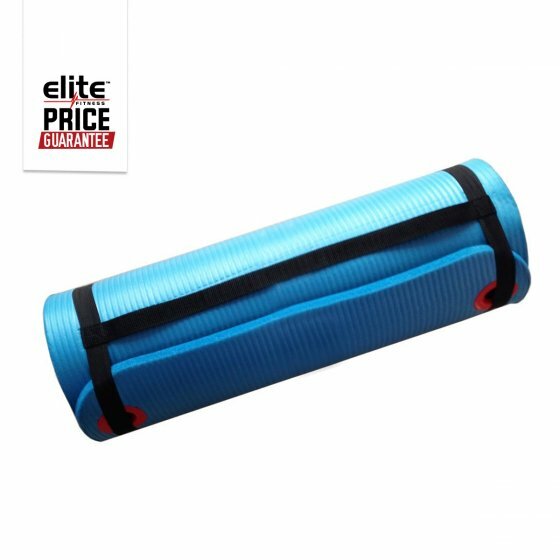 The Elite Pilates Mat is a full 20mm thick with closed cell air pockets to provide a soft, yet durable design. It also has a ribbed surface for a better feel during use and to provide a non-slip performance surface. This mat is Blue and can be rolled for easy storage or Hung up using the 2 Large hanger holes.